Rainbow chard, also known a 5-color silverbeet, is a tender chard variety with multi-colored stalks of yellow, white, orange pink and red. Its matching colored veins extend upward and out into its green fan-shaped leaves. 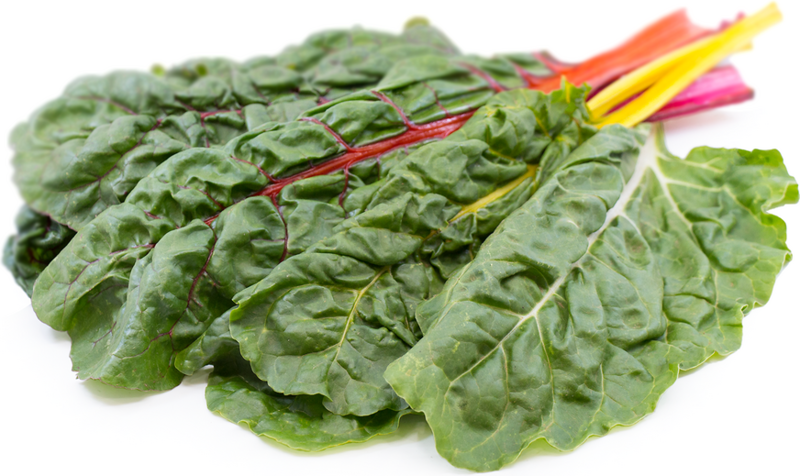 Rainbow chard has an assertive texture and its flavor is earthy and mildly salty and sweet. Rainbow Chard is available year-round with peaking in the summer.